The course covers the Mei Zen Cosmetic Acupuncture System, as has been featured in The Oprah Magazine and the New York Times, with protocols for the face and neck. Participants not only learn the Mei Zen protocols but also learn supporting information including contraindications and how to choose an appropriate candidate, how Mei Zen improves the skin, classical and modern point functions, Chinese herbal recommendations as well as supplements for improving general health and the skin, Qi Gong exercises. 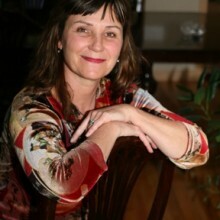 Dr. Lucas holds a PhD in Psychology as well as her certification and licensing to practice TCM. She has more than 20 years of teaching experience and is described as “a dynamic speaker who keeps her classes engaged and who can explain complex information in an understandable form”. She teaches Pulse Balance System internships that integrate classical pulse models for use in contemporary clinical applications, Qi Gong, Women’s health and herbal prescriptions, and Mei Zen Cosmetic Acupuncture. Her private practice is based in Denver, Colorado, where she specializes in treating serious chronic illness, couples who are having fertility challenges, and anti-aging treatments. *PRC diploma students will receive 1 ACU credit for this workshop. For course withdrawals submitted in writing or in person 30 days or more before the start of the course, registrants will receive a full tuition refund less a $60 non-refundable registration fee. For course withdrawals submitted in writing or in person more than 14 days but less than 30 days before the start of the course, registrants will receive a 50% tuition refund. Without exception, no refunds will be given for course withdrawals less than 14 days before the start of the course.